You are here: Home » Posts tagged "Society"
This week, Statistics Canada reported that older adults age 65 and over now outnumber children and youth under 15 years of age. This is a new social trend that is expected to continue and in fact grow in the future. This demographic change will certainly impact society. There are more older adults in Canada than ever before. They are a diverse group with a variety of needs. Furthermore, as they move through the life course, this demographic group continues to have social impact on social institutions and vice versa. There is work to be done to address issues related to our aging population and bigger conversations that we need to be having about our aging society. Innovative policy, programs and services as well as more research and education about issues and topics related to aging and older age are required to help Canada and Canadians adjust to the social change we are experiencing. Aging is an interdisciplinary field. It requires specialized as well as holistic, broad-based knowledge. The new collaborative partnership on aging research and education between York University and Trent University that connects their new aging-focused research centres is an innovative example of what is needed going forward. The new research centres at York and Trent both have an interdisciplinary focus and a mandate to increase the capacity for research and education on aging and aging issues. With this partnership, York and Trent can effectively capitalize on the strengths, perspectives and expertise of scholars and researchers in the field of aging and accomplish even more innovative work. Furthermore, it will enable these two institutions to bring more resources and various viewpoints and experiences to bear on issues related to aging. The partnership will provide a holistic understanding of aging that can inform policy, programs and services for stronger, healthier communities. This is what will assist Canada to adjust to the shifting demographics and changing social needs. What a coincidence that we are talking about this population shift and what is needed in time for October 1, the day the federal government has designated as National Seniors’ Day. Going forward, however, there is great need to be forward thinking, innovative and purposeful to address the social and demographic changes we are experiencing. A version of this blog was posted on LinkedIn on October 1st, 2015. In what ways can all generations engage and participate in a conversation and dialogue about greater longevity and a vibrant later life? An excellent start is to foster intergenerational relationships with intent, harness the power of intergenerational bonds and interactions, something that is largely untapped. Research indicates that these as perspectives, experiences and interactions are not commonly engaged in either direction – older to younger or younger to older. If the generations engage more readily in these five top places then the trigger questions for success are – how can dialogue and conversations be encouraged on meaningful issues of mutual concern? How can outward facing messages be stimulated that engage all ages in conversation, so that everyone benefits? Finally, the top tip for strengthening intergenerational interactions is to encourage good listening skills. In this way, each individual will hear better across generations. Everyone is valued and respected. It is necessary that the generations listen to each other in order to hear each other. This is how intergenerational bonds and connections are fostered. It begins by taking this first critical step. This is an excellent beginning and an excellent way to develop better intergenerational relationships. 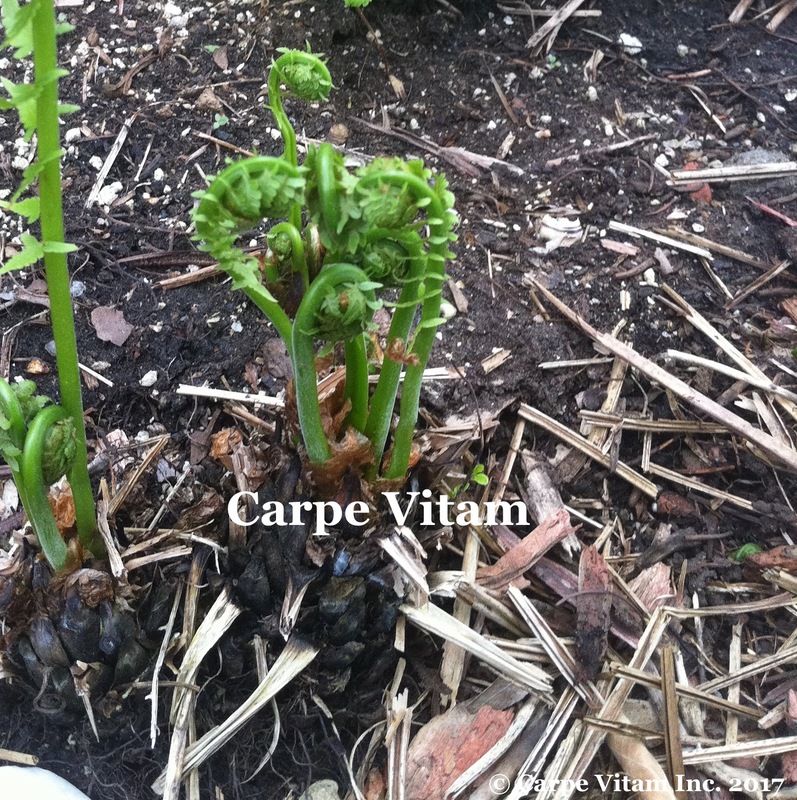 A version of this was posted on the Planet Longevity blog. Volunteers have a highly valued role in society. Volunteer efforts are very important from coast, to coast, to coast. This is because they help keep communities, non-profit organizations and charities going. Volunteering is a great way to stay active and also to contribute and give back to the community. It is socially and mentally stimulating and is good for aging well. I am always pleased to hear about the ways that older adults volunteer in the community, especially the length of time they have been volunteers and the different volunteer roles they hold. I recently wrote a short piece about volunteering that appears in the Fall/Winter edition of Revera Living Magazine. Please read it here. Older adults need to be celebrated as people: As human beings and as unique and special individuals. It is refreshing to see positive images of older adults because often they are viewed in negative ways: As a drain on society, as consumers, as past some best before date, or even as invisible in society. Within in society, images and perspectives of older adults, aging and later life matter. These impact people. The theory of Symbolic Interactionism indicates that our view of older adults and aging develops through interaction with other people. In essence, our sense of self is influenced by how we are viewed by others or put another way, we view ourselves through the eyes of others. It can be argued that this ‘view’ extends to social institutions and structures in society and the way they portray older adults. These portrayals and perspectives contribute to the social discourse surrounding later life and influence how we view others as well as how we view ourselves as we age. Hence, I was very pleased to read recent copies of Revera Living magazine. This publication portrays and celebrates older adults as the real, vital and interesting people that they are. The magazine recognizes each individual as unique, with something to offer. This sentiment is important every day, but especially on October 1st, International Day of Older Persons. Our time as a society is unprecedented in terms of our ability to develop positive opportunities for multiple generations to live, work, play and learn together. We have more forums, research and technology available for exploring these opportunities to make this a “society for all ages”. One such forum is the upcoming 43rd annual Canadian Association on Gerontology conference Oct.16-18, 2014 in Niagara Falls where the theme is Landscapes of Aging, which is appropriate in that it explores a wide, bountiful horizon of “emerging possibilities”. At this year’s conference, I am chairing the Saturday morning Divisional Symposium: Intergenerational Learning within Formal Educational Programs: Older Adults and Younger Students. My presentation within this is entitled Intergenerational Learning Partners: Learning through Lived Experience at the Undergraduate Level, focusing on my Sociology of Aging course developed at York University. 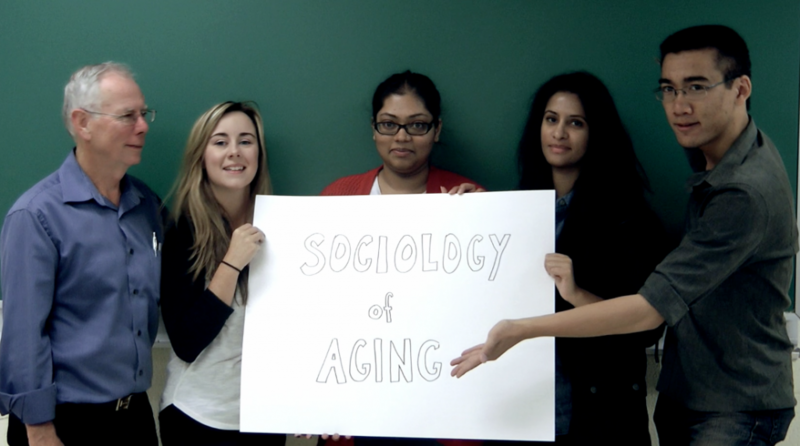 In this course last academic year (2013-14), eight older adults were invited into the undergraduate classroom and the students learned empirical and theoretical perspectives on aging and later life through “lived experience”. The majority of the students were in their 20’s and did not inherently have knowledge of this area of study. Both the students and the older adults regularly interacted in this university class, which is an innovative method of linking these generations. Ultimately, through this experience and through any ongoing research, my hope is that those who participate in this kind of interaction will have challenged the negative stereotyping of each generation and achieved more awareness of the effects of ageism in daily life. For my more detailed post, please visit Planet Longevity here. For information about the CAG2014 conference program, please visit the conference website here. This August, it is timely to recognize leading-edge American social activist Maggie Kuhn for her work in the field of aging. August 3rd marks the 109th year since her birth. Maggie was a champion of aging and the later years. She founded the Gray Panthers in August 1970. Maggie’s work is notable not only because she was ahead of her time with her vision. She also broke stereotypes and, at age 65, embarked on the most important work of her life. In fact, rather than accept being pushed into a quiet retirement by her employer and societal pressure, she chose to take action and work for the rights of older people. After being forced into retirement from the Presbyterian Church, Maggie, along with her friends who found themselves in similar circumstances, organized and founded the group that became the Gray Panthers. The organization focused on the issues of older people including pensions and pension rights, health care and age discrimination. Gray Panthers also addressed the larger social issues of the time such as the Vietnam War. Maggie was a charismatic and energetic leader. She advocated for older adults to have a voice and the opportunity to provide input into programs, practice and social policy. She encouraged older adults to stay involved and take action on social issues. In doing so, she started a cultural revolution. Maggie also believed in the power of intergenerational connection. One of her mantras was ‘Young and old together’. Under her guidance, Gray Pantners came to represent the possibility and power of later life and to stand for social and economic justice and peace for all ages. The organization’s motto is ‘Age and Youth in Action’ very much echoing Maggie’s sentiments. Maggie herself demonstrated how older adults can be active in the world, working for social issues that are important to them. Until her death at age 89, Maggie continued her work as an activist and advocate. She redefined aging and is a role model to all of us – women and men, young and old alike. Maggie Kuhn was a visionary leader. She inspired many people to view aging differently. She left an incredible legacy. Unfortunately, ageism, discrimination and lack of intergenerational connection continue to be issues that require attention in our society. These are barriers to a cultural revolution that would shift our society from a youth-oriented culture to a society for all ages. In our aging society, we need more people like Maggie to help move the cultural revolution forward. ‘Young and older together.’ This was a mantra of Maggie Kuhn, founder of the Grey Panthers in the United States. Maggie was ahead of her time in recognizing aging as an issue and redefining what aging means in society. As human beings, we need strong bonds and connections to individuals of all ages. It is up to all of us to cultivate these interactions and relationships so we can reap the many rewards. Individuals and communities benefit from intergenerational experiences. Recently, I was quoted in the Grey Bruce Kids magazine about intergenerational interaction. Kristen B. Dyer, the author, encourages children and their parents to seek out or create intergenerational opportunities. Please check out the article “Intergenerational Bridges’ in the June issue. Catch the joy of intergenerational interaction! June is Seniors’ Month. In fact, the Ontario Seniors’ Secretariat explains that this year’s theme is ‘Aging Without Boundaries’ as we mark 30 years of celebrating seniors. It is amazing to see, highlight and recognize the contributions that older adults make to their communities everyday. It is important to acknowledge their achievements and to support their work. However, the image and concept of ‘senior’ no longer fits today’s older adults. Older adults might not want to be associated with the term ‘senior’ because they believe it really does not reflect them. Negative images predominate and overshadow any positive potential images. Older adults do not want to be labelled and viewed with the negative connotations associated with the term ‘senior’. This is an issue that needs attention. To truly celebrate older adults, we need new language and new ways to discuss and honour later life and aging. This is one reason why I am producing a documentary film about healthy aging. With this film, more diverse images and positive role models of later life can be shared. Moreover, as the population ages, it is about more than having a longer lifespan. It is critical to have a longer ‘healthspan’. It is about finding ways to foster adding more life to the gift of years individuals are blessed with. This is why healthy aging is important.